Never good when you hear a "Defense" chant when home team is on offense, right? 3rd and 6, Cousins sacked and fumbles...#Eagles recover. #Redskins don't do anything after the turnover, Cousins overthrows Crowder on 3rd down and forced to punt. 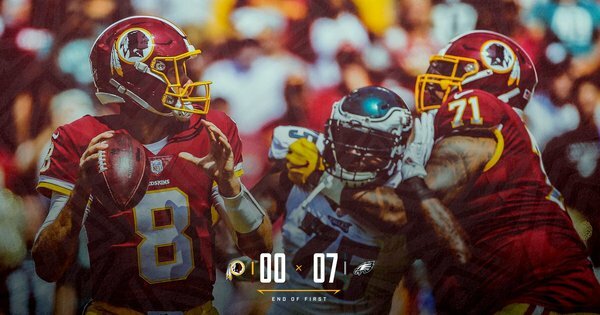 #Redskins trail 7-0 after the first quarter. 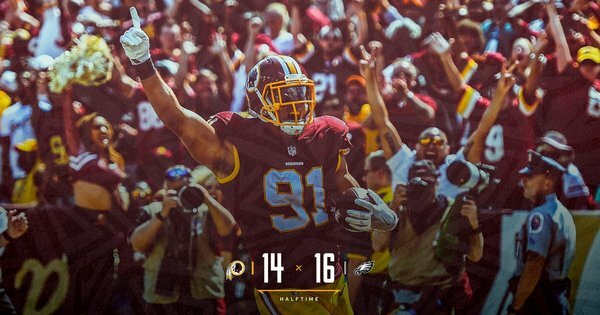 2 first downs and 47 yards in the 1st qtr for the #Redskins . Wentz to Blount 1-yd td..#Eagles missed the PAT. 13-0 lead. 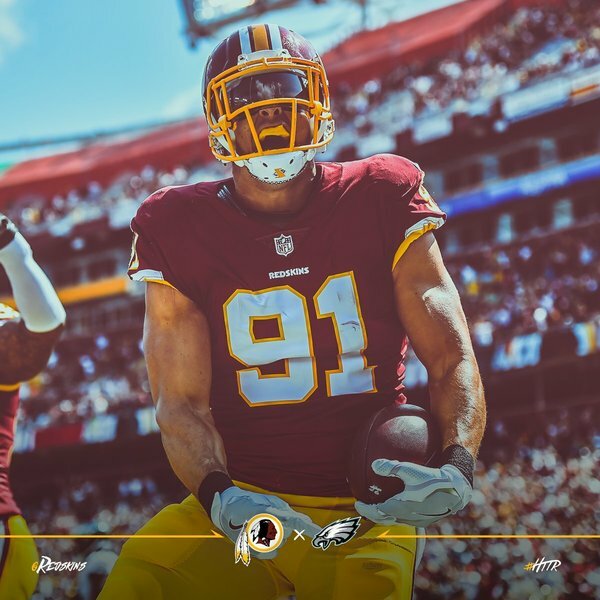 3rd career INT for Kerrigan, all 3 have been returned for touchdowns. #Eagles Jason Peters groin injury, questionable return. #Eagles go 10-plays, 43-yards in 1:17 and Sturgis hits the 50-yd FG. Philly gets the ball to start the 2nd half. Halftime stats: #Eagles 210 yards to 137 for the #Redskins . 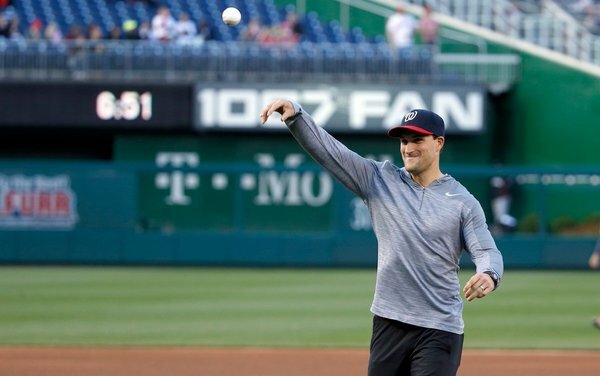 Cousins sacked, but bailed out by a defensive holding.
.@KirkCousins8 showing off the WHEELS.